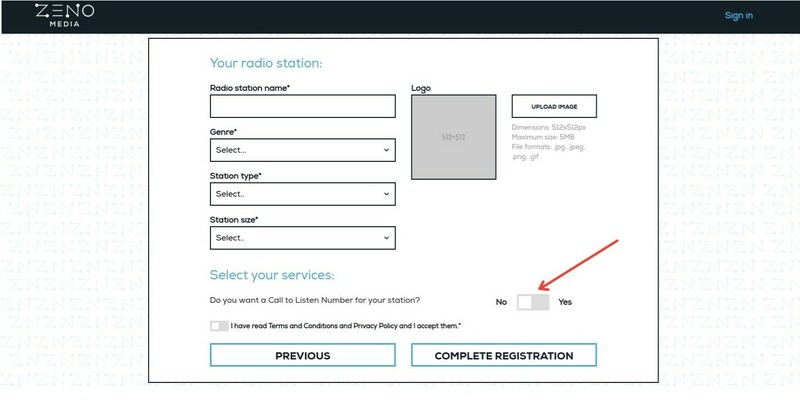 Do you need a call-to-listen number for your radio station? Find out here how to get one. Complete all the steps by filling in your information. 3. During the final step Station Info under Select your services, please click YES to request a Call-To-Listen number for your station before completing registration. In about 48 hours you’ll receive an email containing your call-to-listen number together with best practices to promote it. Thank you for choosing Zeno Media for your radio station!